AUNT STELLA'S COOKIES ARE well known in Japan, as many of the company's retail stores can be found in Japan's urban centers. The company philosophy is "warm hearted communication," which is an indication of its ability to serve the needs of each and every one of its customers. The company believes that the one-to-one marketing it executes through its Web site is an example of this philosophy. "Our 'my choice' feature allows customers to create their own cookie bag, choosing their favorite cookies from our selection of over 40 flavors," says Christine Dunkle, Aunt Stella's E-business manager. "We empower the customer to create their own product based on their taste." 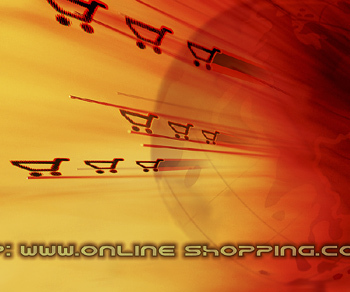 The Web site is open 24 hours, allowing customers to determine when they want to shop online, instead of having to abide by the operating hours and schedules of the stores. Over the past year, Aunt Stella's Web site (www.auntstella .co.jp) has doubled its customer count, growing 230 percent in sales and 300 percent in page views. The company currently uses an extremely successful affiliate program, which has allowed them to work with numerous partners to promote the site. In addition, during special occasions such as Valentines Day or Christmas, they tie up their present campaigns with several successful women's Web sites and mobile sites. Unknown brands are traditionally viewed with skepticism by Japan's notoriously fastidious consumers. Therefore, it is a good sign for Aunt Stella's that the majority of their online customers are familiar with both the Aunt Stella brand and the taste of its cookies. "The 'my choice' feature allows them to determine both the size and contents of their purchase," says Dunkle. "Most of our customers begin with a 'my choice' purchase for their home before expanding into using our gift giving option." Cookies and coffee are a natural combination in just about any culture. RIE COFFEE began as an online business four years ago, in fact, before opening a retail store in January 2002 at the Hilton Hotel in Shinjuku. The company flies in the finest roasted beans from San Francisco every week. Apart from its well-known flavored coffee, the company also offers regular coffee, decaffeinated coffee, tea, herb tea and cocoa. RIE COFFEE also creates gift packs for that special someone or occasion, always a popular idea in Japan. You can find loyal Japanese consumers for just about any popular, high-quality Western product. Company management says that its customers are true coffee lovers who appreciate RIE COFFEE's different blends, which cannot be found elsewhere. "We have many orders from distant places outside of Tokyo, and as they start liking our fine products, some of my customers even make requests to link our homepage to theirs," says Rie Kihara, president of RIE COFFEE. "We have really strong word-of-mouth advertising, which helps in establishing brand loyalty." RIE COFFEE is a coffee specialist, focused on bringing only the very best coffee to Japan. The company has chosen net to become a huge franchise--their main selling point is the cup of coffee. "We have no intention of selling coffee and cakes, but prefer to concentrate on providing the finest coffee beans, high-quality machines, and delivering the good services," says Kihara. Marketing agreements and seasonal advertising campaigns have also contributed to RIE COFFEE's success. Whenever they have a Valentine's Day or summer promotion, the online store incorporates the promotional campaign into the online ads, which brings in more sales and draws customers to the retail store, adds Kihara. Offering a low barrier of entry is an important selling tool. "We have a trial package for [yen] 1300 that can also be ordered via phone, fax or catalogue order sheets. The customer gets three small packages of our best-selling blends, which are about [yen] 320 each," says Kihara. Plus, the customer gets a packet of Ghirardelli cocoa, with no delivery charge. The next step in Japan's B2C evolution involves acquainting Japanese consumers with more advanced Internet shopping options. To encourage its customers to shop more often online, RIE COFFEE will make the entire shopping process easier and more convenient by adding more versatile Net-shopping features like the shopper's "cart," personal account features and other enhancements. Westerners are usually much more comfortable giving out their credit card information for Internet shopping transactions, says Aunt Stella's Dunkle. "Many of our Japanese customers tend to use the time-consuming postal and bank deposit payment options." This leads to delayed payment confirmation, as postal deposits can take up to one week, she adds. Overcoming this misunderstanding is essential to utilizing one of the most important benefits of Internet shopping: speedy delivery. 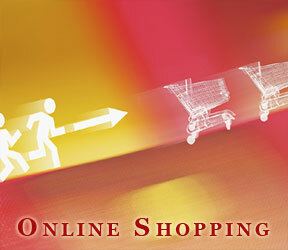 Internet shopping has become a way of life for an increasing number of Japanese. The telecommunications infrastructure has allowed outstanding consumer brands to emerge online and find an eager consumer audience.